I was at orientation for Boston University when I received the joyful news that people who identified as gay were now able to marry throughout the country. I was in shock and awe, yet at the same time thinking, “Finally.” It took long enough to legalize gay marriage across the country. Pennsylvania senator remarries a man at 90 after losing his wife many years prior. PHOTO VIA WIKIMEDIA COMMONS. It was an exhilarating moment to get that particular news update while sitting behind Mugar Memorial Library. I was so happy to receive such news. 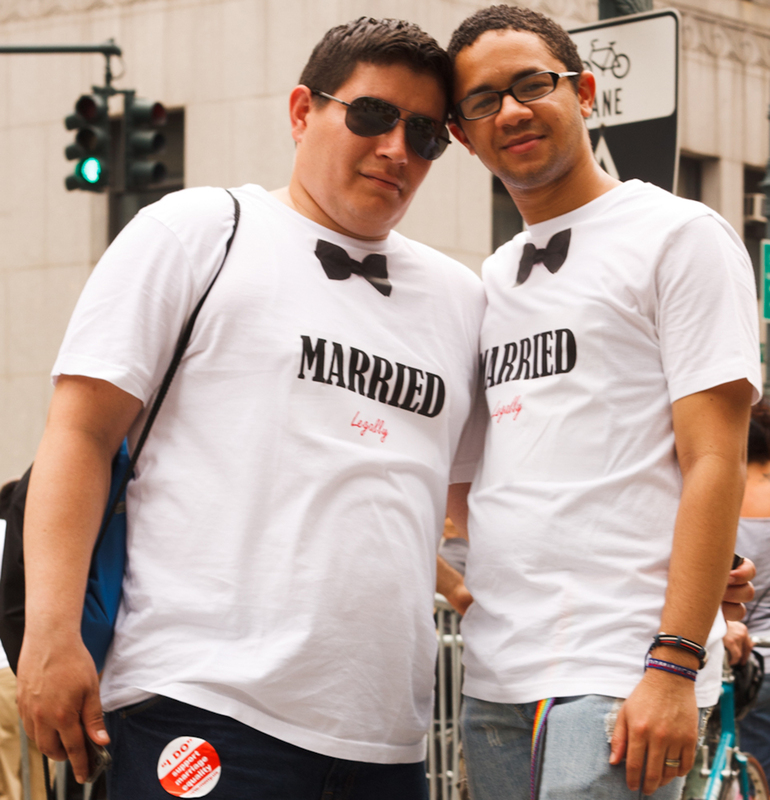 I am completely for gay rights — we should all be able to marry whomever we want. It seems truly absurd to not be able to marry the person you are in love with. Love is a beautiful aspect of life, and everyone deserves the right to marry whomever he or she want. To deny someone the right to marry the person that they love is completely absurd to me, which is why I was so shocked that it took our country so long to legalize gay marriage. I was ecstatic when I received the news that former Pennsylvania Sen. Harris Wofford announced Sunday that he is marrying a man. According to CNN, Wofford was a Democrat who was associated with John F. Kennedy and Martin Luther King Jr. It is superb to know that he has seen this world progress and change in many different ways. He has witnessed many years of bigotry against gay people, and now he is able to witness a greater acceptance than in the past. It is really spectacular that he has found love after the tragic loss of his wife due to acute leukemia. CNN reported that Wofford said he did not think he would be able to find love again because he is an aging man. Unlike what he expected, he did indeed find somebody. However, one aspect that seemed odd to me was to hear that the man he is marrying is 50 years younger than himself. CNN shared how Wofford met and fell in love with a 25-year-old man on the beach when he was 75. From that point on, their relationship progressed into a present-day marriage. After many years being married, he is able to be in love and happy again after the loss of his wife. I personally find the age gap between Wofford and the person he is marrying to be strange. Love, however, is irresistible, and if it makes him happy, then that is wonderful. I am in no place to truly judge their age gap because I am not in their situation, nor do I know either of them personally. I am glad that he seems to have found his true self after the sudden loss of his wife. At the end of the day, love is love, and if it makes one happy then let that person do as they please in their relationship. Straight, gay, lesbian, bisexual, bicurious or other love is found through all types of identities, so it is important to not only allow one type of identity to marry, but to let all identities have the right to marriage.